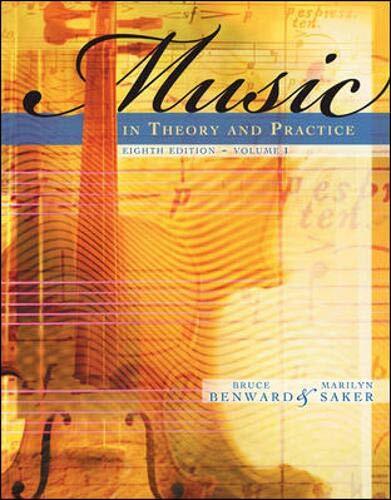 [PDF] Music in Theory and Practice, Vol. 1 (v. 1) | Free eBooks Download - EBOOKEE! Description: This best-selling text gives majors a solid foundation in the theory of music - generally and throughout history. It strengthens their musical intuition, builds technical skills, and helps them gain interpretive insights. The two-volume format ensures exhaustive coverage and maximum support for students and faculty alike. Volume I serves as a general introduction to music theory while volume II offers a survey of the theoretical underpinnings of musical styles and forms from Gregorian Chant through the present day. No comments for "[PDF] Music in Theory and Practice, Vol. 1 (v. 1)".